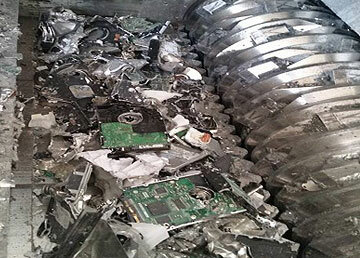 We have a truck that will shred hard drives, computer towers, laptops, thumb drives, cell phones, 3 in 1 copier/scanner/fax machines, credit card machines. 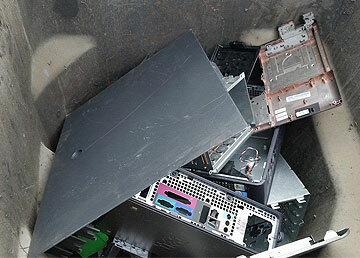 Any electronic device that can potentially store data must legally be destroyed before it is discarded, sold or given away. 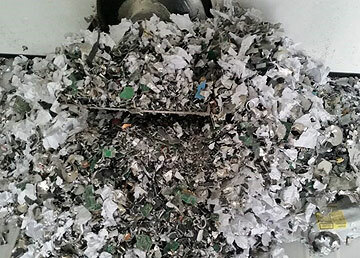 With our processes, you can actually watch the shredding process via truck side on a TV monitor. For organizations that have many hard drives and computers we will scan the serial numbers using a hand held scanner to record your asset disposition and save you time! We also offer a two party verification sheet and scanner for customers that require that extra step to ensure that assets have been properly accounted for.